Nancy Edwards, owner and operator, established Personal Eyes in 1979. Today's eyewear is extremely deliberate, defining, and fun! With a passion for art, eyewear can artfully accessorize and express your face even before you speak, whether you are looking for fashion on a budget or the most exclusive designer eyewear! Your face deserves our best... Come SEE the difference! and save 10% on your next purchase! Our store provides the ultimate in customer service, paying close attention to detail. We are able to fit you with just the perfect look in frames, while filling your prescription with the latest technology in lens designs and enhancements. We accept most major insurance, including FSA, HSA, and EyeMed Vision Care. We also accept Out-of-Network benefits and VSP discounts. 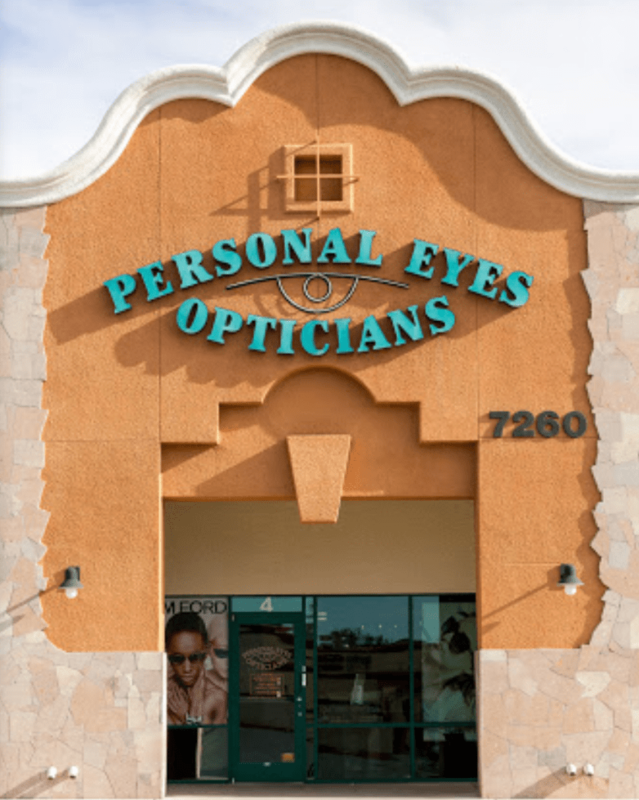 Since 1979, Personal Eyes Opticians has provided Las Vegas with unique, fashion-forward eyewear for the whole family. I am constantly being complimented on my eyewear--Nancy ALWAYS knows what frame is best for my face. The frame I pick is usually the first one she puts on me. Nancy always makes it fun to get new glasses! Nancy, the owner, is the best!!! She definitely understands what great customer service is!! She always goes above and beyond. My family has been going to her for over 20 years!!! Nancy Edwards provides the personalized service that is rare these days. The store is beautifully decorated, spotless and stocked with the most current frames. We'll do our best to get back to you within 1-2 business days!